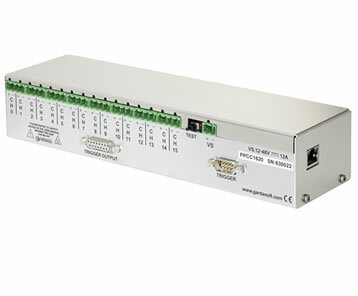 The PPCC16 combines the features of the Gardasoft PP1600 series LED Lighting Controllers with the addition of 8 digital outputs for triggering cameras or general use. With new generation LEDs the PPCC16 series can provide high intensity pulses which exceed the brightness of xenon strobes. 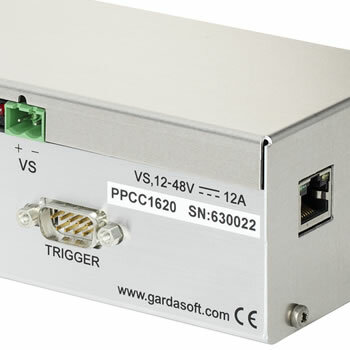 The PPCC1620 Ethernet version acts as a miniature web server and can be controlled by image processing software on a remote PC. 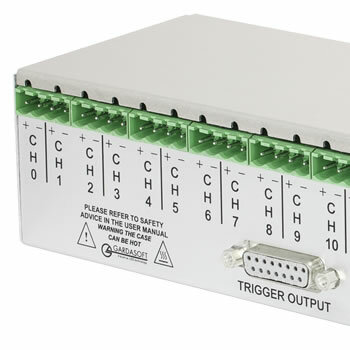 All versions of the PPCC16 can be remotely controlled and dynamically configured using commands sent from an image processing application on a remote PC. The Gardasoft White Paper on LED Controller technology is a useful reference for the principles of attaining maximum performance for Machine Vision illumination.